THE AQUACERT CERTIFICATION PROCESS IS ON A VOLUNTARY BASIS AND STRONGLY ENCOURAGED BY PUBLIC HEALTH AUTHORITIES. THIS CERTIFICATION INCREASES TRANSPARENCY FOR CONSUMERS BY MAKING THE QUALITY STANDARD MORE READER-FRIENDLY FOR WATER USED ON A DAILY BASIS. Water is essential for life and is everywhere on our planet. Its complex cycle begins with the human body, and is often trivialized and illustrated in its simplest form. Despite this, water remains a complex substance, carrying the best and the worst, capable of regenerating or poisoning depending on what’s in it. Every day, people drink it, but they also use it to relax, relieve or even for treatments just as they have for centuries. Whether it’s spa treatments for children, managing a public swimming pool, or a wellness spa, we attribute different properties and characteristics to water for various needs. Aquacert makes it possible to audit and certify all these types of water, in any form and provide both the public and professionals with the highest level of safe use of water that’s guaranteed , healthy and up to standard. Aquacert certification was developed in France by a group of natural mineral water experts, scientists and professionals, in addition to consumer advocates and the French Ministry of Health. It was developed by focusing its fundamentals on risk management and benefited from the HACCP system and ISO 22000 standard, which makes it compatible with the fields of health and food in general. After quickly becoming an international standard, Aquacert is now managed by the NGO “Aquacert International” on 5 continents. This is a new kind of certification because it’s exclusively specialized for water. It ensures transparency for users by organizing annual audits of certified organizations. It makes it possible to discuss the conservation or the possible cancellation of the certification as an independent scientific committee after every annual audit. Aquacert has different audit criteria based on activities and what kind of water is used. In order to ensure all performance guarantees, Aquacert also evaluates staff skills, as well as the equipment and products which are tested during the various stages leading to the end user. Aquacert helps verify that certified companies or individuals still comply with the regulations and that they monitor water quality on a regular basis via analysis and internal audits. For your safety, this certification provides a framework for hospitals, medicinal thermal springs and sea water treatment centers, spas and wellness centers that use water as part of a treatment. This also includes drinking water whether it’s bottled or from the tap, as well as water parks and natural outdoor areas for swimming and recreation. Due to their therapeutic properties, certain mineral or sea water is considered as a natural medicine – earth’s gift – and should be maintained in its original pure state if it’s to be used as part of medical treatments. Aquacert was created to ensure that this particular water is in compliance with the primary purity criteria, and that when it’s used for treatments, it’s conducted properly. Because almost 60% of the human body is water, the quality of the water is essential to good health. We drink it several times a day and we use it to cook. We have an inextricable and vital link with it on a daily basis. Consequently, we are all concerned by the detrimental impact that poor water quality could cause. Tap water, spring and mineral water – each can be very different depending on the situation and should be checked daily. Aquacert ensures its reliability regularly. People of various ages and with very different health profiles are in daily contact with one another in these recreational or spa waters. This increases the risk of contamination which can occur if surveillance and monitoring is not sufficiently strict. 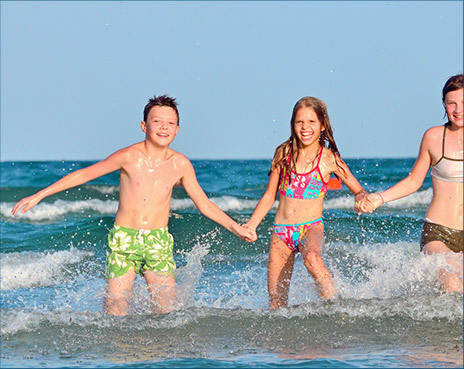 Whether it’s spas, water parks, natural or man-made swimming areas, Aquacert certification is still the best guarantee for you and your loved ones to enjoy high quality water without any health risks. Since Man first discovered the benefits of thermal water * 2000 years ago, thermal medicine has been shown to be effective with many diseases. For example, France has over 1,200 regenerative springs whose therapeutic properties have been acknowledged by the French Academy of Medicine. 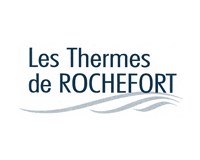 The “Aquacert Thermal Medicine” Certification is based on the French example and acknowledges twelve major medical pathologies which could be treated thanks to natural mineral water. Rheumatology, the respiratory system, cardiovascular diseases, phlebology (venous insufficiency), neurology, psychosomatic illnesses, urinary and metabolic disorders, gynecology, digestive diseases, child developmental disorders, dermatology and oral infections are fields in which mineral water has been unsurpassed for many centuries in various studies and publications by doctors (which is specific to France). A few years ago, thermal medicine published a white book opening the door to new horizons for natural medicine using mineral water. New fields could be added to the original 12, especially since recent experiments (e.g. post-cancer treatments) demonstrate the effectiveness of some treatments on new diseases. To do these thermal treatments or make thermal water healthcare products, the water must be kept in its original pure state and free of any contamination. It must be untreated of course. These actions thus require a high degree of accuracy and constant quality control. Aquacert certification concerns all centers for thermal medicine as well as cosmetics and pharmaceutical products made with thermal water. It guarantees that you’ll have the best quality and safety standards. * Thermal water is defined as natural hot mineral water. In layman’s terms, we call “thermal water” any mineral water that has therapeutic properties and is used at thermal spas. The use of water at hospitals to treat major burn victims or in follow-up treatment centers, for reeducation of patients who have undergone major operations affecting their mobility, is a long-standing practice which quite often has no equivalent in modern medicine’s technological equipment. The water used in this context must obviously be subject to constant vigilance when it comes to quality. In fact, many disease-causing bacteria can develop in this water, if an incident occurs in the treatment water production and supply system or in the event of non-compliance with hygiene procedures which lead to contamination of patients, equipment or products used in treatment. To avoid this type of incident, a quality and safety management system must be implemented and audited periodically with regard to its effectiveness. It should also be noted that, with the exception of these specific cases, every hospital department or service is concerned by water quality. Controlling the water quality is always a permanent preoccupation even in cases where it’s not the main treatment being administered. So in order to meet health professionals and patients expectations in the best possible way, Aquacert certification systems cover not only specialized care (hospital balnéothérapie and follow-up treatment), but also the different types of water used daily at hospitals. This includes hot water (for patients’ showers), sterile water in operating rooms, water produced for dialysis, etc. Healthcare treatments that are this important require outstanding risk control systems. In certified facilities, Aquacert guarantees that these factors are taken into account, evaluated on a regular basis and meet standards. 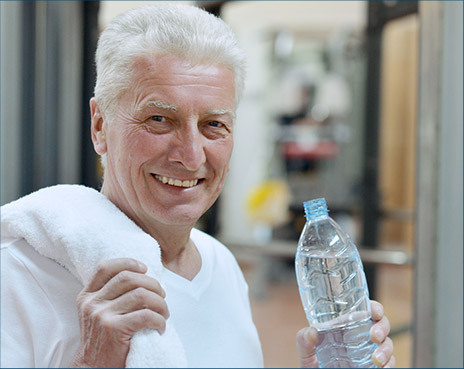 These facilities which generally focus on prevention, fitness or helping fight the signs of aging are also concerned by the issues of water quality and clients’ safety. Different kinds of water can be used, in their natural state, as part of preventative treatments, fitness, or treating stress. These facilities provide thermal or seawater spas, thalassotherapy treatments, and combine physical activities with treatment most of the time, which makes the most of the water used. Many different choices may exist in this category of healthcare water. 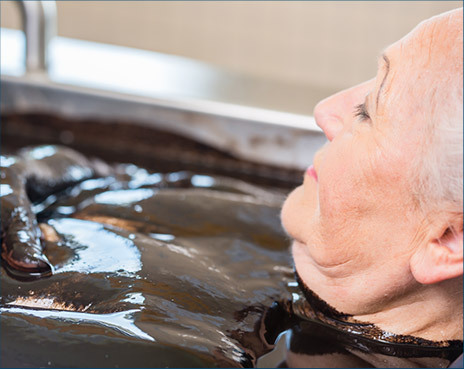 Anti-stress, anti-smoking or weight loss treatments are the most frequently common ones provided at thermal spas . 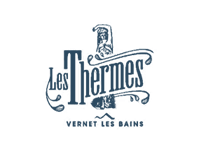 These ones have thermal water with very specific properties and they provide “pay as you go” treatments. As for thalassotherapy spas, they provide curative and preventive seawater-based therapeutic treatments (under medical supervision) and also provide seawater spa package deals with shorter treatments which are more focused on prevention. Seawater is used to treat several pathologies such as degenerative arthritis, chronic back pain and some skin conditions. Necessarily located near the sea, the facilities generally have sea mud, seaweed, sea sand and other sea products used for treatments. The risks associated with thermal water or seawater treatments are quite different and require special consideration. The Aquacert certification defines different audit criteria in each of these cases, but whichever water is used, microbiological and chemical quality beyond reproach will be required and you’ll be safe in a Aquacert certified facility. Potable water must meet around fifty different criteria which reflects a constant concern – public health. It involves providing consumers with safe water, free of any immediate or long-term risks, whether these risks are real, potential or simply predicted. It’s thus understandable that water must undergo purification which is aimed at neutralizing any viruses and disease-causing bacteria. In fact, you should be aware that some tap water is produced with groundwater (such as mineral or spring water) while others are produced using surface water (rivers or streams) and thus have dissimilar qualities before they are treated. Purifying is therefore an essential step for any potable water distributed via the public network. In addition, this purification must be persistent, i.e. active along its entire route inside the network, all the way to our tap. All of this explains the smell of chlorine in tap water, that we notice quite often and which reminds us that tap water has been treated in order to be used safely on a daily basis. Consequently, professionals who are in charge of distributing potable water to the public must absolutely implement analysis and prevention systems for risks which may come from the water intake point all the way to the consumer’s tap. It’s a complex task which requires implementing a systematic approach and regular auditing of the product, but also of the entire crisis and prevention system put in place. Aquacert’s “Public Water Service” Certification combines the risk management system guidelines (HACCP or ISO 22000) as well as the main requirements of the World Health Organization’s guidelines (water safety plan) to supply professionals with a system which allows them to carry out their public service duty in optimal conditions that ensure quality and safety. Spring water comes from underground springs. It comes from one or several natural or drilled eruptions and must be bottled at the spring. The latter must be protected and provide water that’s naturally free of chemical and microbiological contamination. Microbiological purification treatment is not allowed with spring water. This water cannot contain any disinfectant (contrary to tap water for example) and must comply with the physicochemical quality levels for water intended for human consumption. Consequently, it is suitable for daily use such as drinking water, without any special restrictions. Being required to produced bottled water without authorized purification requires specific know-how and appropriate audits. The Aquacert certification system gives you the guarantee that professionals who produce the water that you drink guarantee your safety, by maintaining a certified quality and safety management system on a day to day basis. Natural mineral water also comes from underground and is known for its original purity. It has a balanced mineral salt content and properties beneficial for health which are acknowledged by the French Academy of Medicine. Originating from underground, natural mineral water comes from only one spring which must be protected from any human pollution. It’s extracted at great depths and does not undergo any purification treatment, so it is naturally free of chemical and microbiological contamination. It should be specified that not every kind of mineral water is suitable for everyone for daily use. In fact, even if most natural mineral waters have a very low mineral content (in the same range as spring water), some have very high mineral content (which sometimes exceed European potability standards) and are only appropriate in very special cases. So for example, “calcic” mineral water (more than 150 mg/liter of calcium) are best suited for people who want to supplement insufficient nutrition with these minerals. Furthermore, natural mineral water which contains sodium (more than 200 mg/liter) is highly recommended for athletes who carry out intense, sustained exercise. 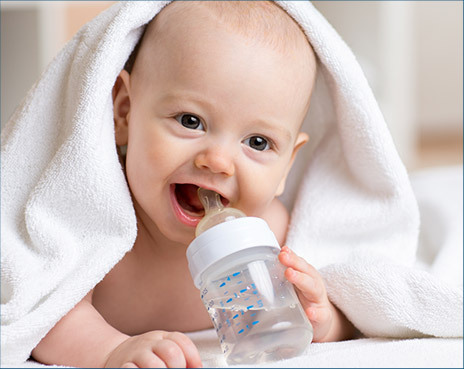 Whereas lower mineral content water is best for infants or daily family use. The Aquacert certification guarantees the authenticity, quality and safety of the mineral water you drink. Water in general, no matter what kind, has relaxing and rehydrating properties. Nowadays, many hotels, resorts, and sports or recreation facilities provide their clients with spa installations. 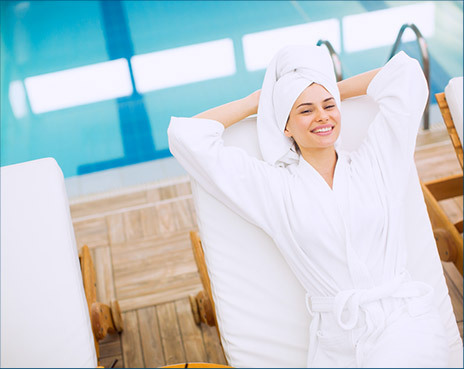 Usually combined with wellness or relaxing spa treatments, gas-enriched whirlpools, underwater massages, or hot and cold pools along with saunas provide pleasure and relaxation in many situations. For the most part, these facilities use treated water (in general from the public drinking water network). Whether it’s city spas or fitness centers, they all must ensure water quality and safety for their customers. 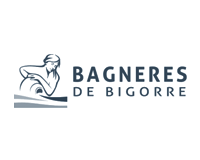 In this case, it’s also necessary to implement an appropriate risk management system, understood and implemented by the entire staff, in a way which guarantees good practices necessary for managing customers and maintaining optimal hygience conditions. Aquacert certification was developed in order for you to safely enjoy all of these wellness, beauty and fitness facilities. A great number of people go to natural swimming areas, generally over a short period during the year, and quite often at a time when the natural environment is weakened and therefore vulnerable for several reasons including rising temperatures, increased human activity, decreased circulating currents, etc. 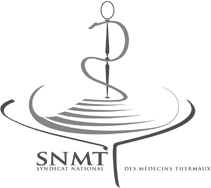 Even if health inspections are mainly carried out during the swimming season, the quality of the swimming areas taken into account requires, beforehand, the development of an elaborate surveillance system which makes it possible during peak attendance to quickly organize communication and decisions between water analysis laboratories, and national and local teams that manage the swimming areas, and who must manage any alerts (pollution or weather-related events) which may occur. The Aquacert “Swimming Water Management” Certification provides you with the implementation of the best surveillance measures for water quality and individual safety, with an annual audit of the area’s management. We are all more or less concerned by this category of recreational water or water sports. At any age, every family member may participate in an activity in one of these facilities. 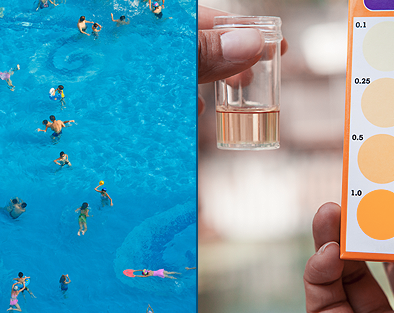 Whether it’s public or private swimming pools, when they’re intended for collective use (including bathing or swimming facilities of condominiums, bed & breakfasts and guest houses), the managers must provide permanent water quality surveillance for the pools under their supervision, post the results in public for users to see, and take all appropriate measures in the event of any abuse with regard to quality levels. It’s easy to understand that when a swimming pool or tub is intended for collective use, new risks occur (that we don’t have to face as private individuals). The Aquacert certification was also developed for this reason – to guarantee water quality for every family member and every kind of use. WITH AN ANNUAL SERVICE BY AN INDEPENDENT CERTIFICATION ORGANIZATION, Aquacert guarantees that you’ll have the best safety and quality level from water professionals. So as a customer, you can safely benefit from healthy water suited for whatever use you may have. To do so, whenever you drink or use water, choose a wellness spa for a thermal treatment, or even go swimming with your family – choose the Aquacert certification. Simpler than a seal of approval and issued by independent, officially accredited organizations, this certification will guarantee you the complete commitment of the facility, business or community that you deal with on a daily basis. You can be sure of the reliability as well as the quality of services and products. In a category all its own, water for healthcare use requires attention that’s just as particular. Aquacert was created to ensure that mineral or sea water is in compliance with the original purity criteria when it’s used for healthcare. And this is in conjunction with the best current healthcare practices. This kind of water requires constant vigilance and daily verifications. 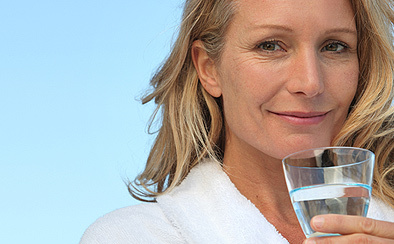 Your health is in the hands of professionals who have committed to providing you this water. Aquacert makes it possible to guarantee the reliability of risk management systems for water that you drink every day. Spas, water parks, and natural or man-made swimming areas also have very special management constraints every day. The Aquacert certification is the best guarantee for you and your loved ones to enjoy safe water with no health risks. WHAT’S AN AQUACERT CERTIFIED FACILITY, SWIMMING AREA OR PRODUCT? In the same way that water and related products are evaluated regularly, the staff involved in providing the products and services are also evaluated every year. In every specialty and at every level, the staff are evaluated and subject to improving their skills. And of course, whichever organization it concerns, it is evaluated every year by an accredited independent Aquacert expert in order to guarantee you with the best quality and safety level. Aquacert Certification would not exist without the cooperation and approval of France’s highest health officials, as well as several committed scientists who are continually improving water auditing procedures and reference documents. VOUS ÊTES ACTUELLEMENT CONNECTÉ AU SITE “WWW.AQUACERT-CERTIFICATION.COM”. Siège social : PARC INNOLIN, 3, rue DU GOLF, 33700 Mérignac. Date de la déclaration : 4 juillet 2017. Le site “WWW.AQUACERT-CERTIFICATION.COM” ne saurait être tenu responsable des erreurs typographiques ou inexactitudes apparaissant sur le service, ou de quelques dommages subis résultant de son utilisation. L’utilisateur reste responsable de son équipement et de son utilisation, de même il supporte seul les coûts directs ou indirects suite à sa connexion à Internet. Le site “WWW.AQUACERT-CERTIFICATION.COM” est mis à jour régulièrement par l’équipe “Aquacert” et est par principe accessible aux utilisateurs 24/24h, 7/7j, sauf interruption, programmée ou non, pour les besoins de sa maintenance ou en cas de force majeure. En cas d’impossibilité d’accès au service, “WWW.AQUACERT-CERTIFICATION.COM” s’engage à faire son maximum afin de rétablir l’accès au service et s’efforcera alors de communiquer préalablement aux utilisateurs les dates et heures de l’intervention. N’étant soumis qu’à une obligation de moyen, “WWW.AQUACERT-CERTIFICATION.COM” ne saurait être tenu pour responsable de tout dommage, quelle qu’en soit la nature, résultant d’une indisponibilité du service. La création de liens hypertextes vers le site “WWW.AQUACERT-CERTIFICATION.COM” est soumise à l’accord préalable du directeur de la publication. Les liens hypertextes établis en direction d’autres sites à partir de la reproduction ou représentation, intégrale ou partielle, des pages, des données et de tout autre élément constitutif au site, par quelque procédé ou support que ce soit, de “WWW.AQUACERT-CERTIFICATION.COM” ne sauraient, en aucun cas, engager la responsabilité d’Aquacert. La reproduction ou représentation, intégrale ou partielle, des pages, des données et de tout autre élément constitutif au site, par quelque procédé ou support que ce soit, est interdite et constitue sans autorisation de William TERRY / Aquacert, une contrefaçon et est par conséquent passible de poursuite conformément aux dispositions des articles L.335-2 et suivants du Code de Propriété Intellectuelle. L’utilisation du site “WWW.AQUACERT-CERTIFICATION.COM” implique l’acceptation pleine et entière des conditions générales d’utilisation décrites ci-dessus. Celles-ci sont consultables par l’intermédiaire d’un lien hypertexte placé sur toutes les pages du site”WWW.AQUACERT-CERTIFICATION.COM”. Il est ici rappelé que les développeurs du site”WWW.AQUACERT-CERTIFICATION.COM” gardent trace de l’adresse IP de tout utilisateur. En conséquence, il doit être conscient qu’en cas d’injonction de l’autorité judiciaire il peut être retrouvé et poursuivi. Les paramètres des cookies sur ce site sont mis à "accepter les cookies" pour vous offrir la meilleure expérience possible de navigation. Si vous continuez à utiliser ce site merci de cliquer sur «Accepter» ci-dessous, ainsi vous consentez à ce sujet.